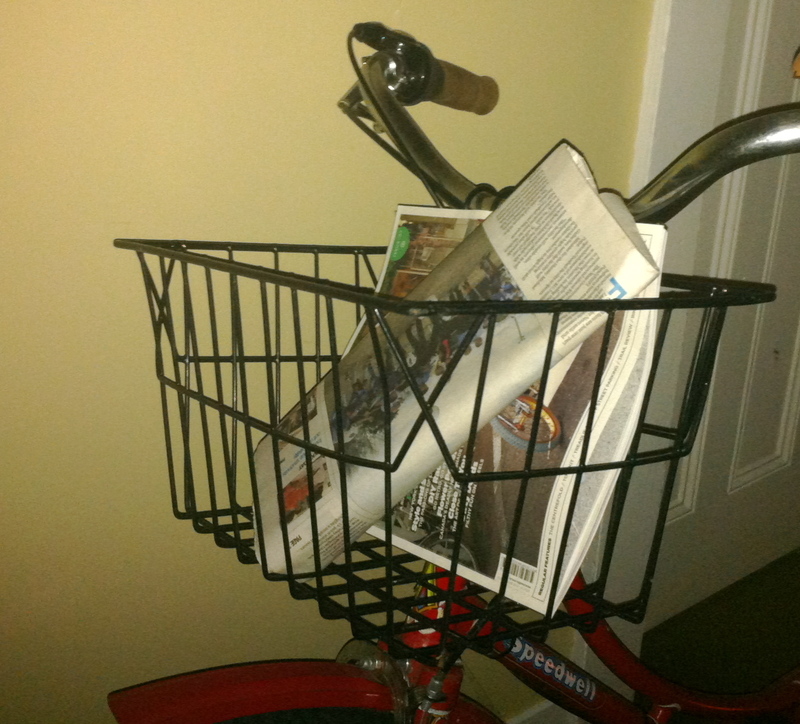 I used to love seeing cycling-related articles appear in the newspaper. It seemed as if cycling was finally being accepted by the mainstream of society and that it would only be a matter of time until cycling became the accepted and acceptable way to get around. And it seemed that these articles always attracted a lot of comments. It must be all good, surely? That was until I started to read the comments, and to see a pattern in those comments …. lycra-hatred, the belief that cyclists should be insured/registered/booked by the cops, hatred of the supposed law breakers/aggressive riders who mow down pedestrians, dismay at the waste of tax payers’ money being spent on bike infrastructure, and the list goes on … Read nearly any of the excellent articles on the SMH bike blog to see what I mean. After reading such comments for several years, and talking to both police and bike activists who tell me that aggression towards cyclists is getting worse, I am not so sure that such items in the mainstream media are a good thing, even though I have often joined in the discussion and enjoyed reading both the articles and (some of) the comments. How do we get around this problem? It is good to be able to read the opinions of the haters so that these may be rebuked online and/or addressed in more sober discussions that crop up in social situations. But does it inflame these bike haters? I have heard some bike riders express increased fear whilst riding in the days following such articles in our local paper. It is great to be able to highlight some of the positives in the media without the likelihood of such backlash, and reporting on cycling as a sport is one way around this, but that does not really address the issue of how cyclists and others share the roads, which seems to be the inflammatory aspect of those online discussions. But reporting on cycling as sport does not address the pressing issue of transport cycling: we need better infrastructure, it will help everyone and will solve many of the problems of city life. We all know what they are – we are too sedentary, spend too much time commuting, breathe air that is polluted, don’t have enough car parks, etc. Let’s find a way of getting bikes into the media in a positive way, so the comments of those haters lose their momentum and maybe they will get on their bikes and find out what the attractions are for the rest of us. This entry was posted in Uncategorized and tagged bike commuting, infrastructure, media, newcastle. Bookmark the permalink. 5 Responses to Is it good for cycling to be in the media? Well put Vicki, I think motorists are becoming ever more frustrated with overpopulated and expensive driving and are looking out for scapegoats. Murdoch, Shock-jocks and the like are not helping either. Welcome to the grumpy age of mass individual self-entitlement ! Here’s to setting a good example, even purely on a personal level of courtesy, and not adding to the problem. Thanks for the comment Peter. I can see that their traffic frustration adds to, or even creates, the problem. I ride very courteously I think, but when I cop unwarranted abuse, I tend to give them the bird, unthinkingly of course! I think that in the main, it is good for cycling articles to be in the media. Lots of people don’t bother with comment sections, and of those who do, many would be put off by the haters almost as you and I. Negative comments sometimes gain some traction, but only because comment sections seem to attract people who seem to be professionally crabby. For every “hater” comment there is usually a thoughtful, more appealing (to the masses) rebuttal from somebody like us. No worries! Wow I really went on there. All I wanted to say was not to believe that comment sections in mainstream media represent anything like mainstream opinion. There are certainly a group of peo who love to comment on articles on a whole range of different topics and they have formed a sort of community among themselves, but the bike articles bring out another group who bring up the same topics regardless of the nature if the article. You can almost guarantee what the comments will be about. But as you say Rantwick, many dont read them. Thankfully. If the increased visibility of cyclists in the media makes motorists more conscious of driving carefully, then it must be a good thing. I agree Vickie, that more dedicated transport and recreational cycling paths are the answer. The path at Merewether foreshore with the cement dividing blocks is another small addition to a potential network. Your articles are well balanced with a friendly, appealing tone, which can only help in increasing your reach and raising positive discussion. Thanks from Mark Gaul, currently too chicken to cycle on the Newcastle roads.